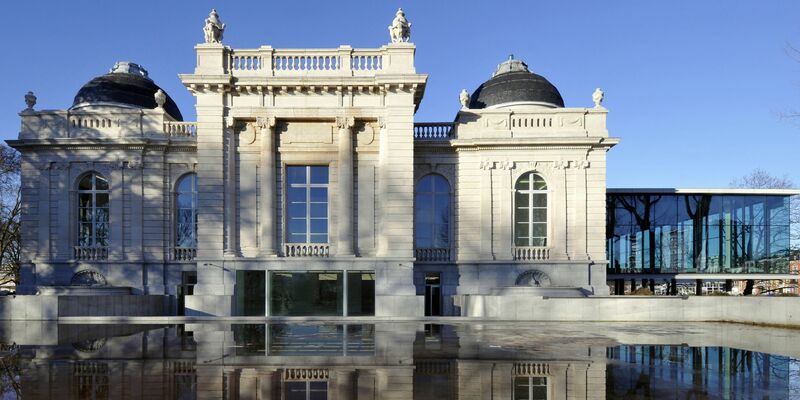 We are very happy to announce that CloudGuide has been chosen by the City of Liège (Belgium) as the digital platform for its new Museum of Fine Arts, La Boverie. Named after its surrounding park, the museum will be housed in a former building of the 1905 world exhibition. Its opening was highlighted by the first of several annual exhibits of international masterpieces curated by the Louvre. The inaugural exhibition, entitled 'In the Open Air', was chosen to illustrate the strong link between the museum and its surrounding park. This show outlines, based on a chronological journey of 100 works, the emergence and gradual development of painting in the open air, from the 18th century to today. La Boverie will start using iBeacon technology in order to provide visitors with a unique museum experience. Throughout the museum, more than 60 iBeacons are placed next to the works of well-known painters such as - Claude Monet, Paul Signac, Pablo Picasso, Paul Gauguin, Marc Chagall. The information about the artwork will automatically be displayed on the visitor's smartphone thanks to Bluetooth connection. This would enhance the visit and engage users with the most prominent works of art. La Boverie is very excited to start a colaboration with CloudGuide offering a great value experience to its visitors. CloudGuide at the SXAméricas StartUp Pitch Competition! CloudGuide has been selected as a finalist in the SXAméricas StartUp Pitch Competition at SXSW, a pitch contest where 10 selected startups have shared their ambitious projects with the international audience. SXAméricas Startup Summit is part of the South by Southwest® (SXSW®) Conferences & Festivals, which hosts events devoted to music, films and emerging technologies. From March 11th through March 15th, companies from all around the world have attended events, shared innovative ideas, meeted investors and tried to create new partnerships in Austin (Texas). CloudGuide has been represented the inaugural SXAméricas Startup Pitch Competition by Olga Plets, its Cofounder and CEO. CloudGuide has got a chance to get introduced to a wide range of companies, press, investors and the international community. The Cofounder has also attended multiple networking events and valuable sessions given by high-profile speakers involved in the world of technology and creative industries. CloudGuide one of the most prominent 4YFN startups at the MWC! As part of MWC, it is organized in Barcelona 4 Years From Now (4YFN), the business platform created to promote the growing community of technological startups with a global scope which is emerging in our country. In order to help creating relationships between startups, investors and companies, 4YFN this year doubled its surface compared to the previous year, and has a large number of activities organized around three main themes: Disrupted by Mobile, Internet of Things and Digital Media. CloudGuide has become one of the 31 startups gathered by ICEX and we have come to the meeting to show our app. In the pictures you can see our stand, our Chief Marketing Officer & Co-Founder being interviewed by RTVE and also our Chief Technology Officer during one of his pitches showing our app to potential investors. We expect to take advantage of this great opportunity and we hope to come back next year with more experience, but with the same enthusiasm! 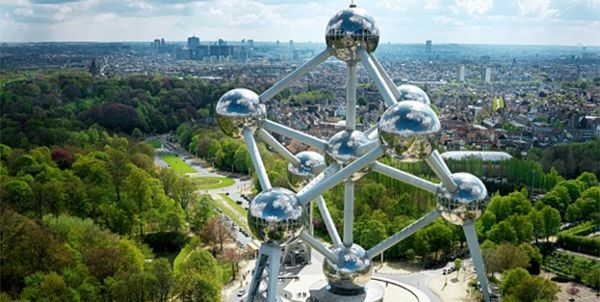 The Atomium is the most visited monument of Brussels. Yearly more than 600.000 people visit the 165 billion times enlarged iron crystal. Created in 1958 for the World Fair, this building stays until today Belgium’s landmark. At 102 meters high you’ve got a beautiful view over Brussels and the nearby royal park. The nine connected hemispheres house permanent and temporary exhibitions. We are very proud to announce that this month, the Atomium will start using CloudGuide to let their visitors explore the inside. Since the Atomium building is entirely made of steel, it acts as a Faraday cage and prevents any mobile connection. Fortunately, CloudGuide has an offline option and it came out as the most suitable solution to overcome this shortcoming. From now on, the app will be used by many of the visitors attending daily to the Atomium. CloudGuide has returned home after taking part of the Immersion Program of Spain Tech Center (STC) that hosted for two weeks ten Spanish technology startup companies in order to make contact with capitalist investors in addition to legal and financial advisers. The ten participating startup companies belong or are linked to the technology sector, in particular, to applications development, open source tools, Big Data, online education platforms and solutions for revenue management, among others. During two intense weeks they have been in the Californian city using the services of Spain Tech Center, which provides support to Spanish technology companies in their process to internationalization and establishment on the American market. The Spanish entrepreneurs participated in 35 workshops which counted with sessions about business communication, banking and credit in the United States, Venture Capital in emerging markets, international marketing strategies and customer experience. Besides assisting these workshops, participants visited the headquarters of Google, Plug and Play, GSV Labs and Evenbrite, as well as Stanford University. After the experience, participants come back to Spain with new knowledge and perspectives to apply in their companies.